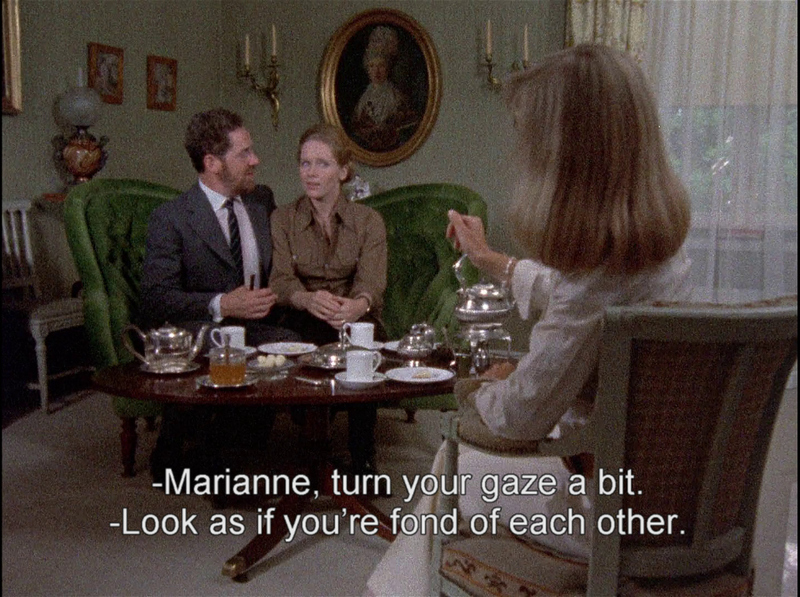 Marianne (Liv Ullmann) and Johan (Erland Josephson) always seemed like the perfect couple. 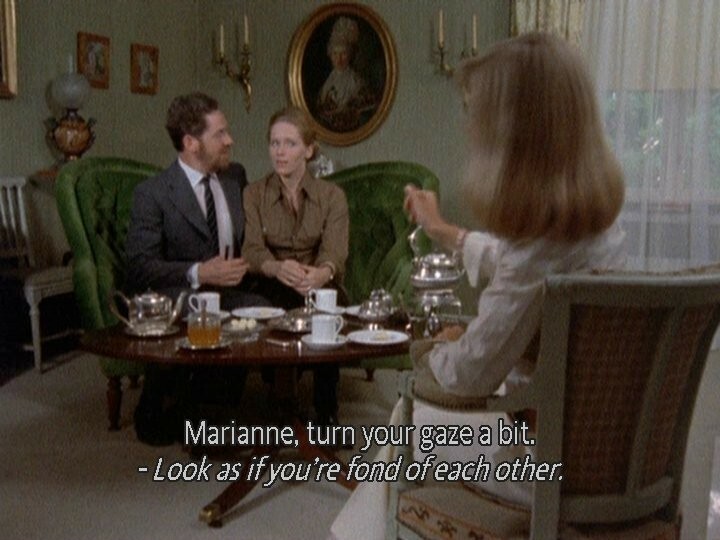 But when Johan suddenly leaves Marianne for another woman, they are forced to confront the disintegration of their marriage. 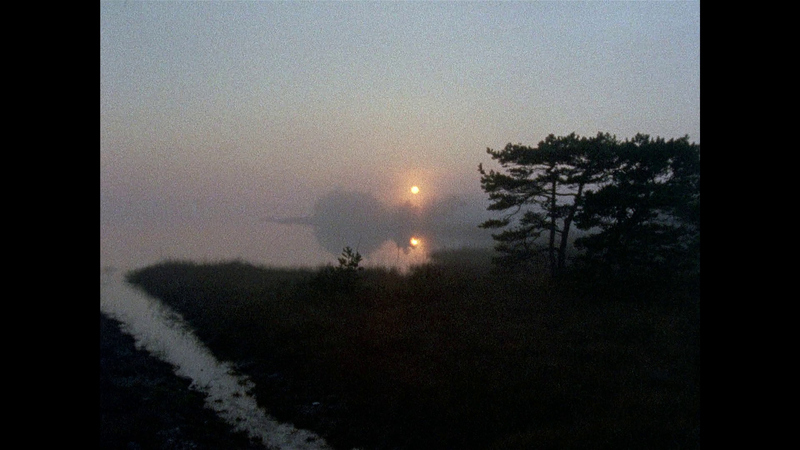 Shot in intense, intimate close-ups by master cinematographer Sven Nykvist, the film chronicles ten years of turmoil and love that bind the couple despite their divorce and subsequent marriages. 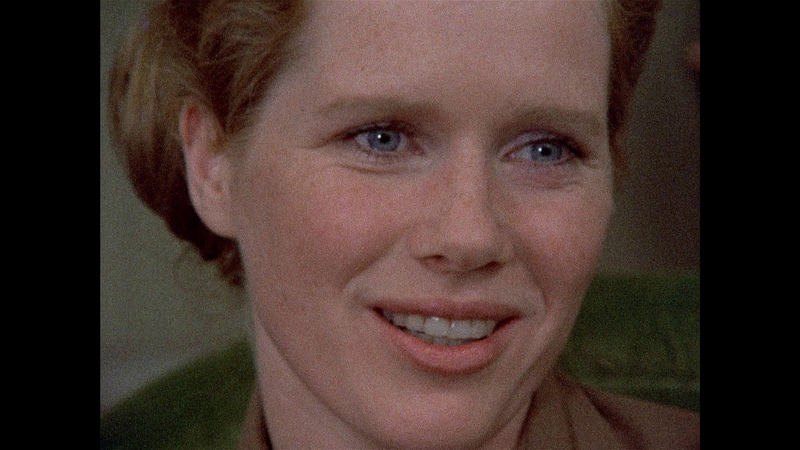 Flawless acting and dialogue portray the brutal pain and uplifting peace that accompany a lifetime of loving. Originally conceived as a six-part miniseries for Swedish television. 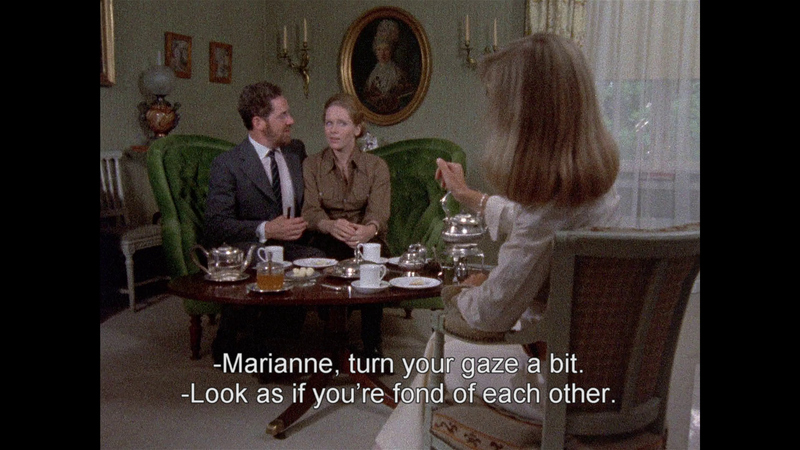 Scenes from a Marriage chronicles the many years of love and turmoil that bind Marianne and Johan, tracking their relationship through matrimony, infidelity, divorce, and subsequent partnerships. 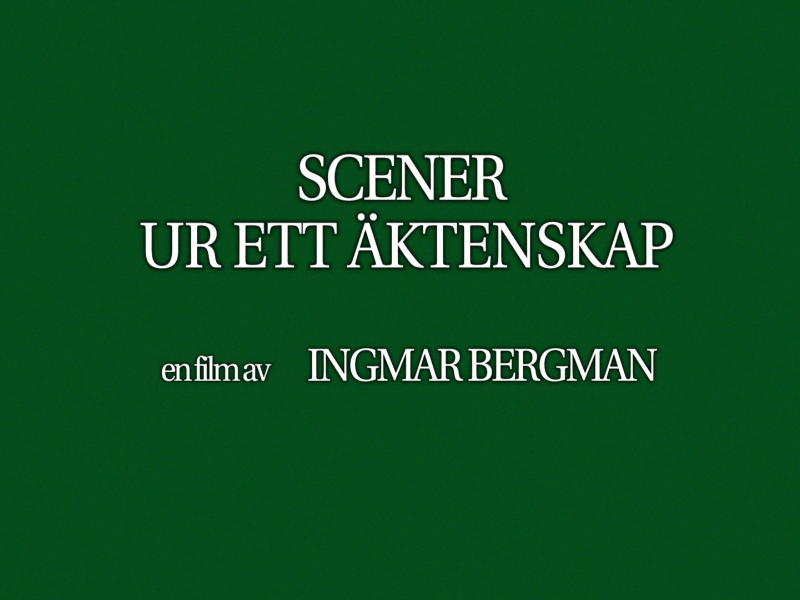 Originally conceived by director Ingmar Bergman as a five-hour, six-part television miniseries, the film is also presented in its three-hour theatrical cut. 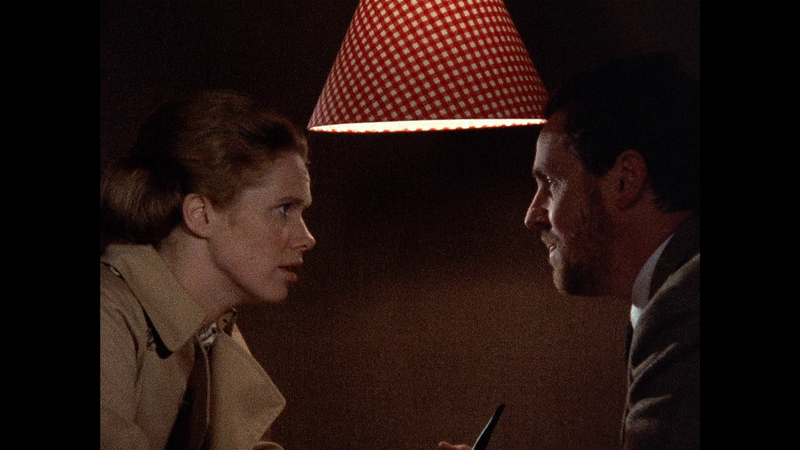 Shot largely in intense, intimate close-ups by cinematographer Sven Nykvist and featuring flawless performances by Liv Ullmann and Erland Josephson, Bergman’s emotional X-ray reveals the deep joys and pains of a complex bond. 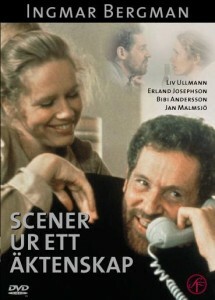 NOTE: SF (Svenska filmindustri) is only the Television version! 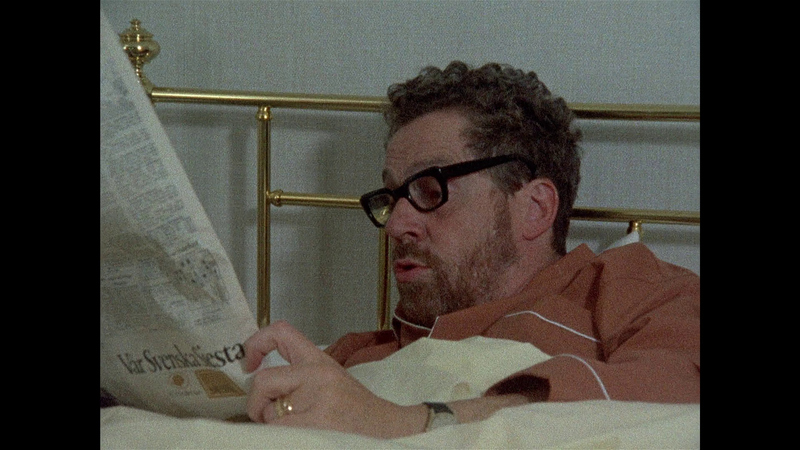 Big thanks to Per-Olof Strandberg for the SF (Svenska filmindustri) screen captures! 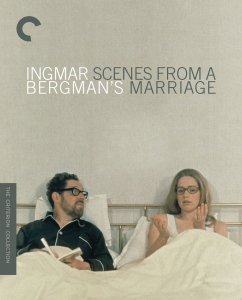 ADDITION: Criterion Region 'A' Blu-ray - (August 2018) Criterion bring Bergman's "Scenes from a Marriage" to Blu-ray in this new 2-disc set. 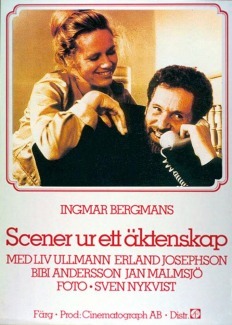 The first disc houses the film's original 5 hour Swedish Television version (in NTSC not original PAL.) 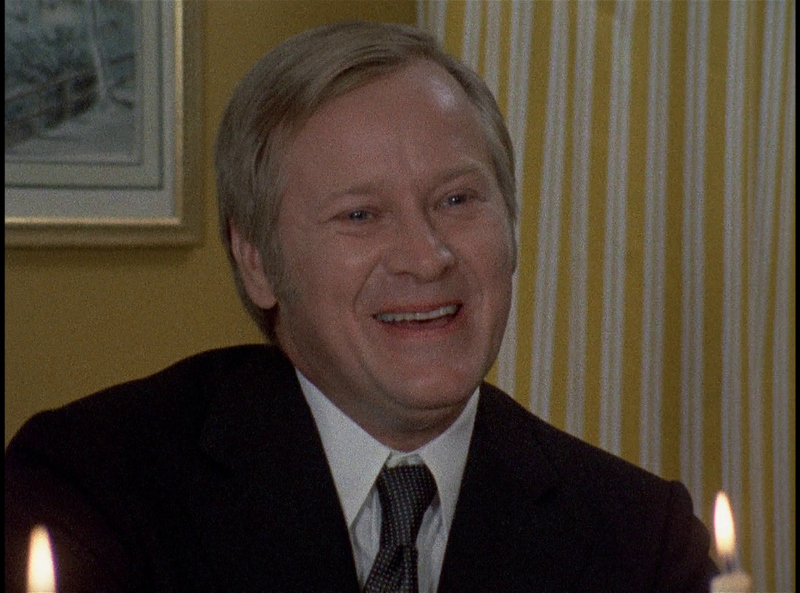 The second disc has the theatrical cut. 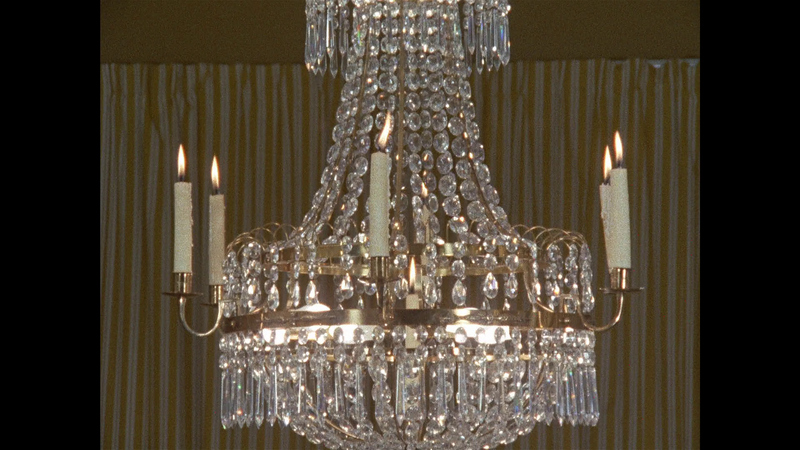 The bitrate on the first disc is understandably low, but the image looks much better than the DVD, especially in motion. 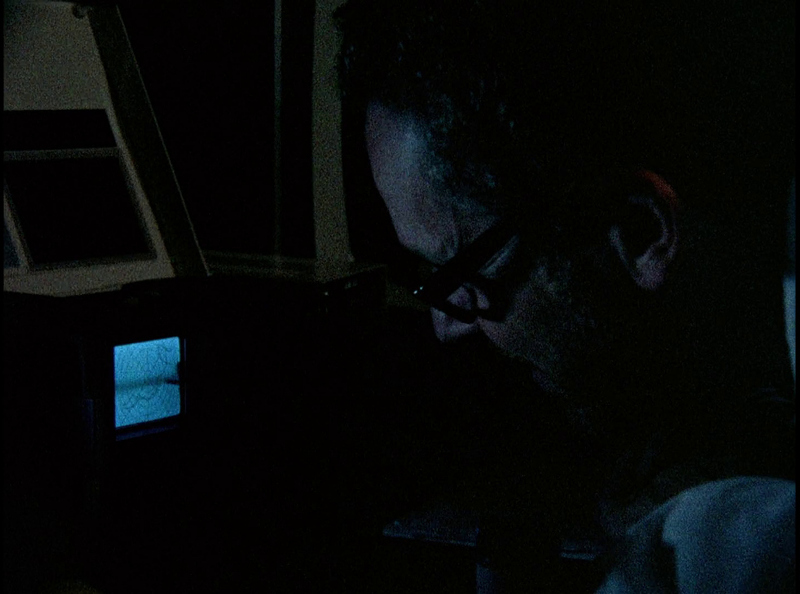 Detail levels are significantly improved and there is heavy grain present, as it should be (the film was shot in 16mm). Where the previous Criterion DVD was ever-so-slightly cropped at the top of the frame, this seems to be fixed on the new Blu-ray transfer (see candle at the top of the chandelier in the second cap, or the strand of hair now visible in the third cap). 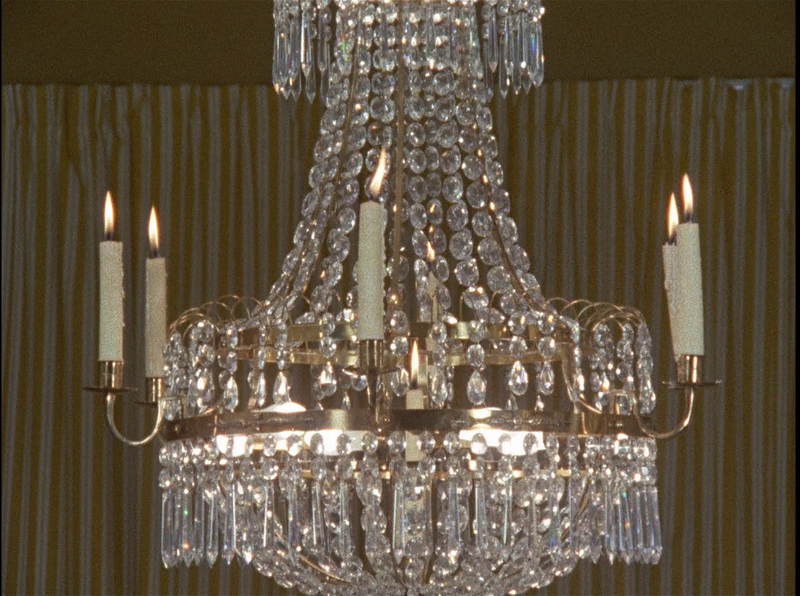 The bitrate is much higher on the second disc and the image looks very similar, if not better, when in motion. 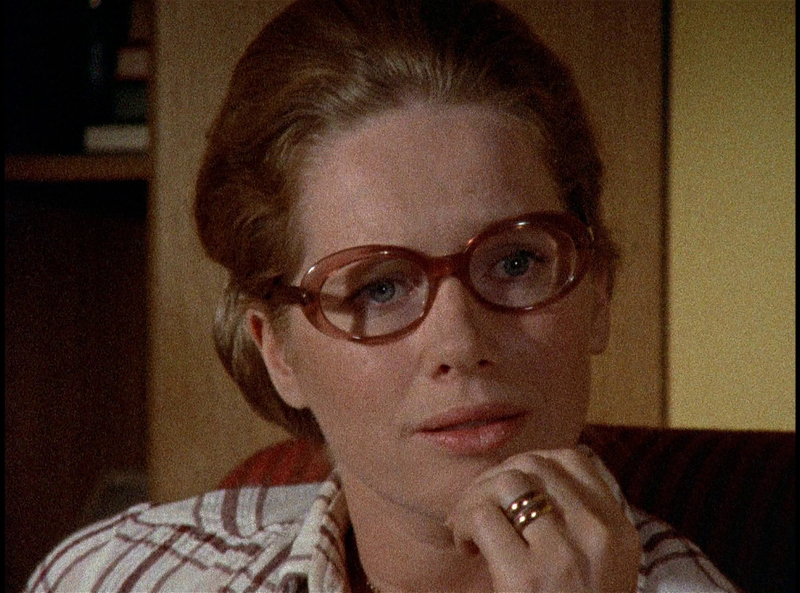 Criterion have also included the uncompressed mono soundtracks for each version of the film. These are 24-bit 1.0 tracks. 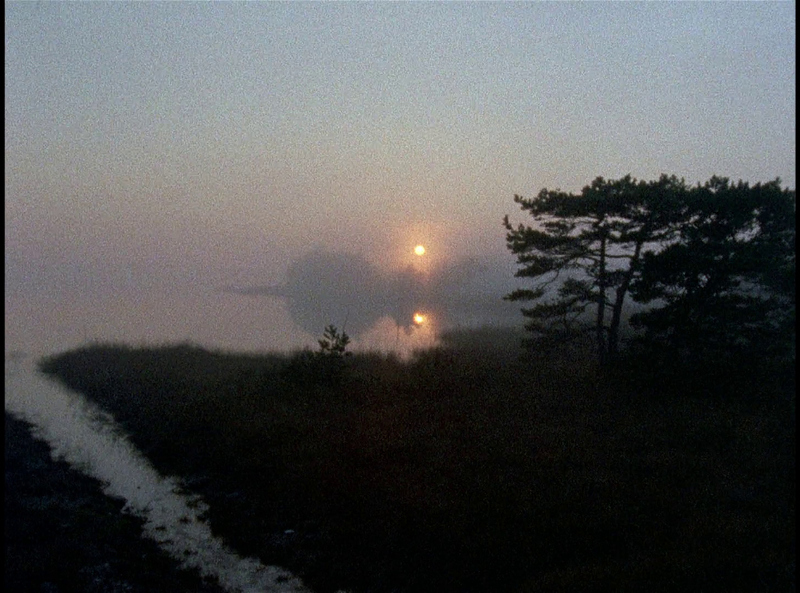 There are optional English subtitles on this Region-A Blu-ray. 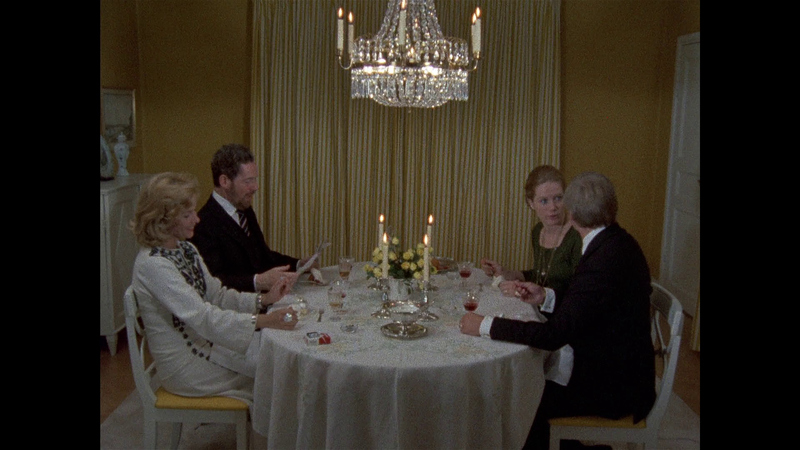 Criterion carry over the extras from their previous DVD. 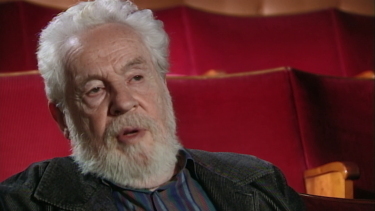 These include the 2003 interviews with actors Liv Ullmann and Erland Josephson. 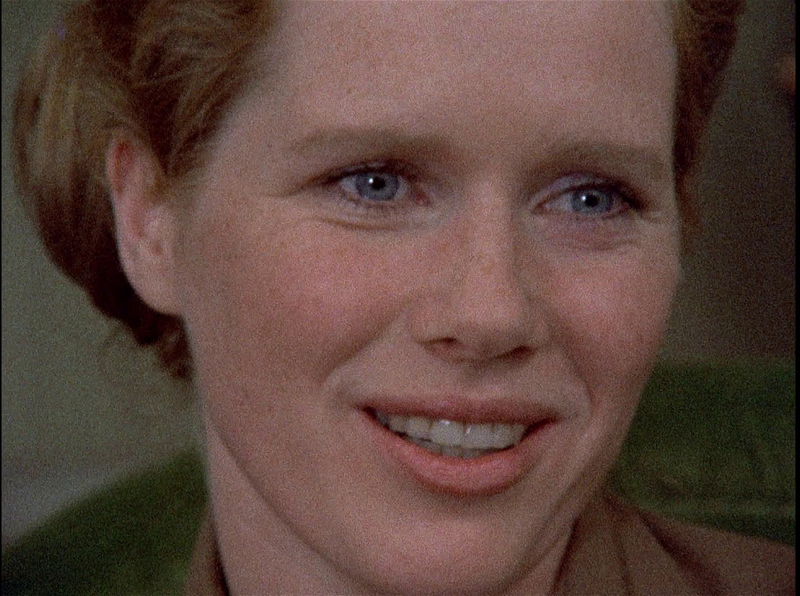 The two actors both had prolific careers working with Ingmar Bergman and other esteemed directors and both went on to direct projects of their own. 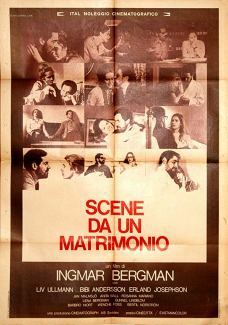 The success of Scenes from a Marriage catapulted them to international celebrity. 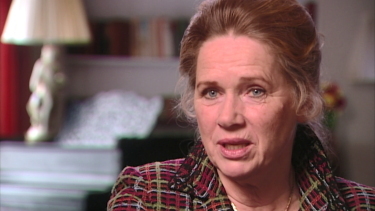 Liv Ullmann was interviewed in New York and Josephson in Stockholm. 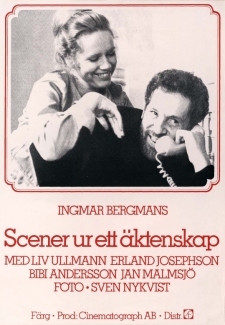 "Ingmar Bergman" is a 1986 interview for Swedish television, with Bergman reflecting on the making of Scenes from a Marriage, discussing the characters he created and the strong responses they elicited from their audience. 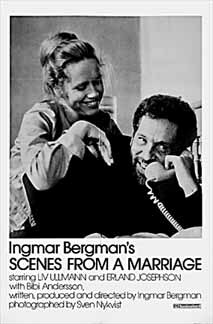 Scenes from a Marriage was originally filmed as a six-part television series; it was then edited by director Ingmar Bergman into a feature film. 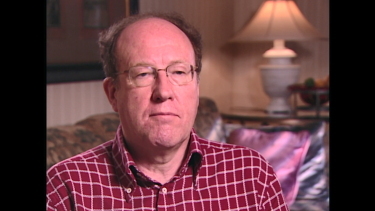 "On the Versions" is a 2003 program with Bergman biographer Peter Cowie discussing the two versions of the film and the choices the director made in the editing process. 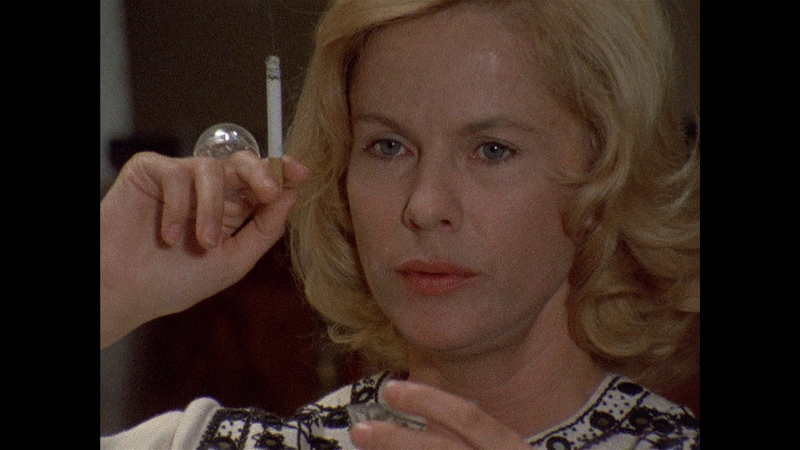 This is a very nice improvement on the previous DVD, thanks to Criterion. 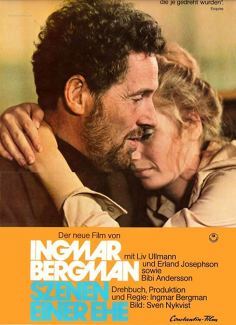 It should be noted that this film will also be included in the upcoming Bergman boxset from Criterion that is coming in November 2018. 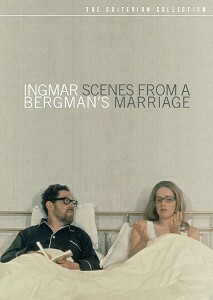 Strongly Recommended to fans of Bergman. 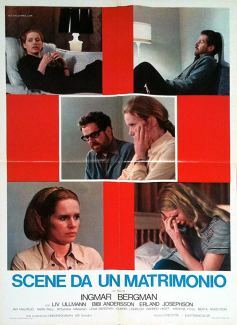 ON THE DVDs: When the film was shot for television, and afterward re-cut to cinema, the cinema print is most probably made from an inter negative from the original negative, and then made a new 35 mm inter-negative for the film-copies, therefore, I suspect that the TV version should have better picture quality than the cinema print! 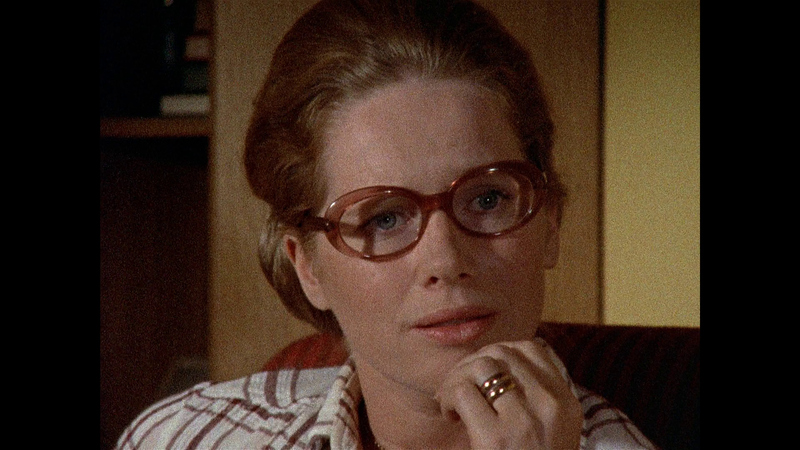 Opposite to Rohmers 16 mm films, this is NOT MADE FOR THE SCREEN. 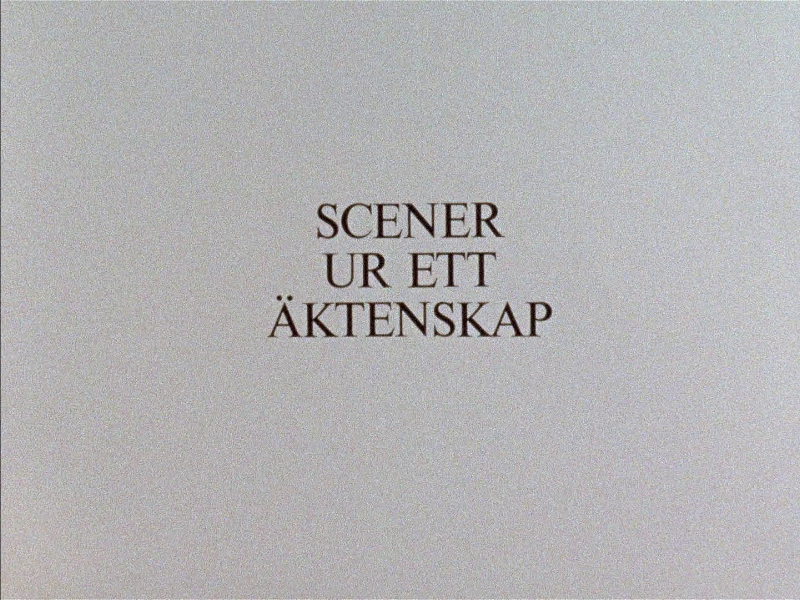 Therefore it's made as most of the Nordic TV series in early 70'. 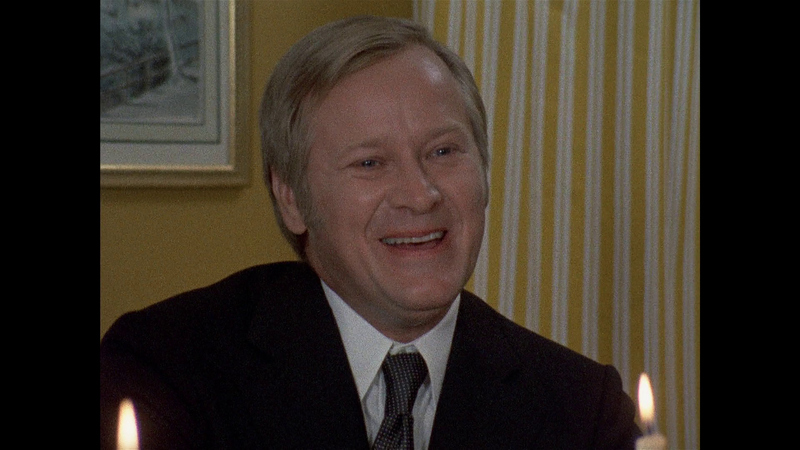 I have seen it in television, and it looks exactly the same. 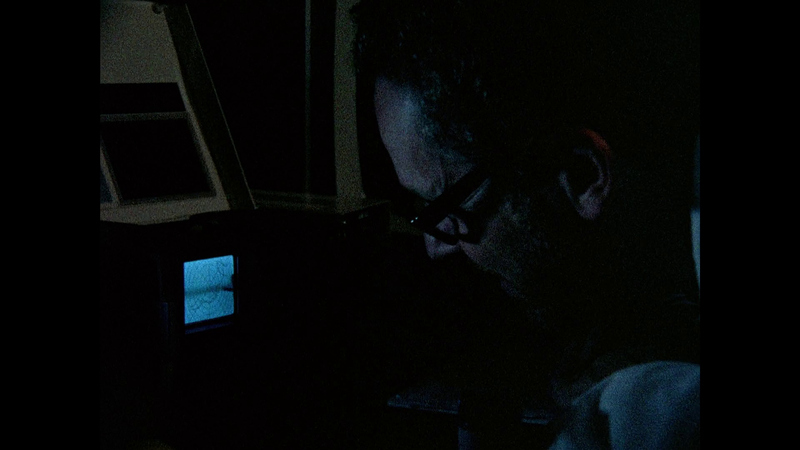 Most of the 16 mm films shot for the screen uses more lightning than the television productions! The image quality of these editions don't seem very different. 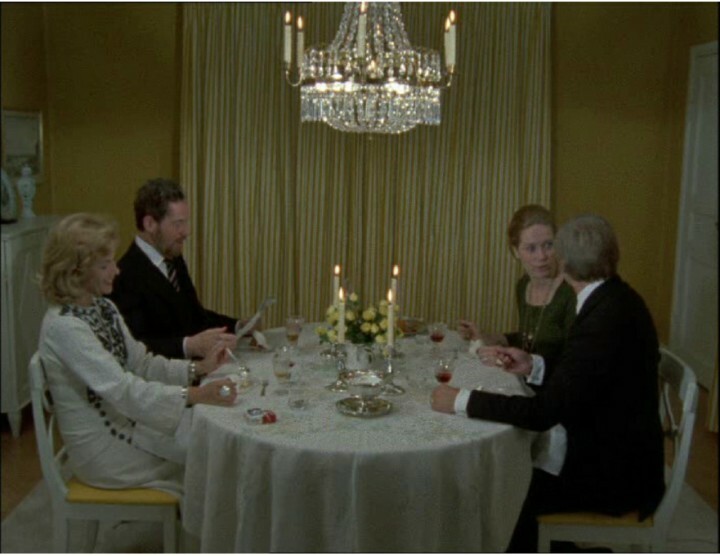 The Criterion is cropped on top the Svenska filmindustri on the bottom - both negligibly. 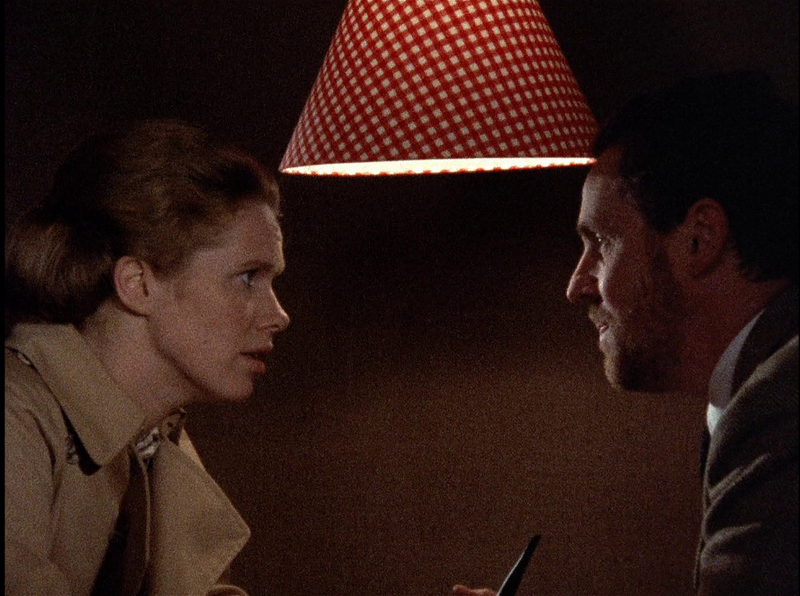 The Criterion has English subs and the SF version does not. 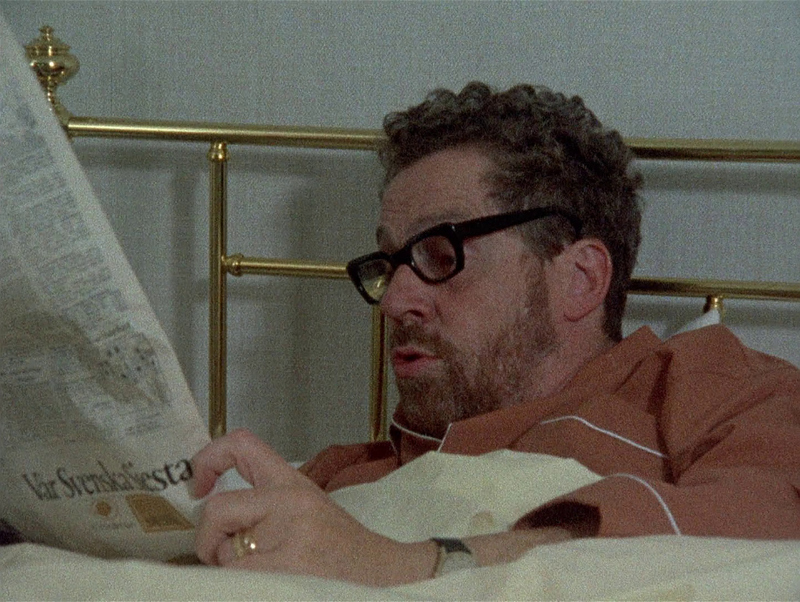 The SF looks a little green and a little 'heavy', but nothing untoward. This looks pretty acceptable from both sides. Criterion will nip ahead in the image, Extras and menus.